Great cocktails at the Palapa Jungle Bar! The perfect place for a drink – and bird-watching – in Belize! 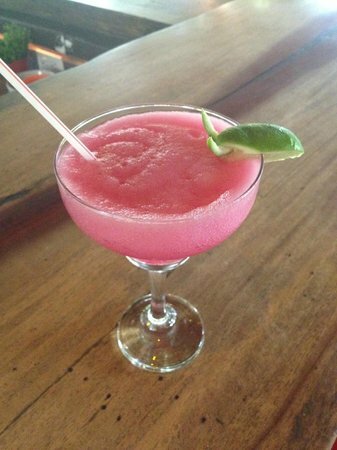 After a sumptuous evening meal, why not relax at one of the most enjoyable bars in Belize? At Mystic River Resort in Belize, the Palapa Jungle Bar is the perfect place to watch horses cross the river, or iguanas jumping in the water for a cool refreshing bath. You can also spy cormorants and egrets flying low over the majestic Macal River. And while doing all that don’t forget to sip an exotic cocktail specially prepared by our fun bar staff. The Palapa Jungle Bar is also a great place to sit and watch the amazing variety of birds Belize has to offer. From Parrots to Toucans, from Aracaris to Mot-Mots, have fun spotting all the birds with the help of our very knowledgeable staff. You may also spot a deer or an armadillo while walking around the grounds. The wildlife is one of the many things that makes Mystic River among Belize’s best hotels! Steve, one of our fabulous bartenders, with lovely tropical cocktails.